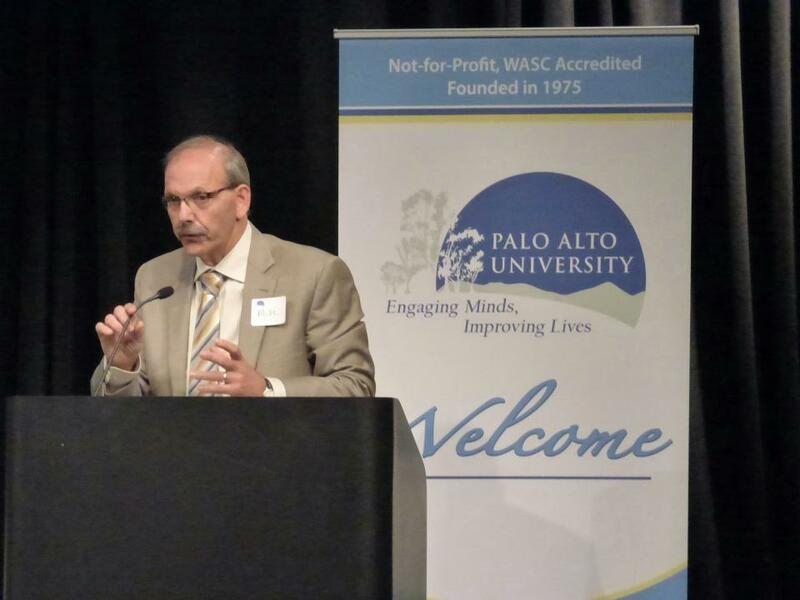 Michael Kerner, Ph.D. a member of Palo Alto University’s (PAU) Board of Trustees as well as a Pacific Graduate School of Psychology alumnus has received the 2015 Alice Handley-Isaksen Award in Forensic Psychology. Alice Handley-Isaksen, Ph.D., received a lifetime achievement award from the Santa Clara County Psychological Association (SCCPA) for her contributions to the association and to the mental health and forensic communities in Santa Clara County. This award is presented annually to individual(s) for outstanding forensic service to the organization and/or to the community. Above: Dr. Kerner speaking at the recent 40th Anniversary Celebration for PAU.